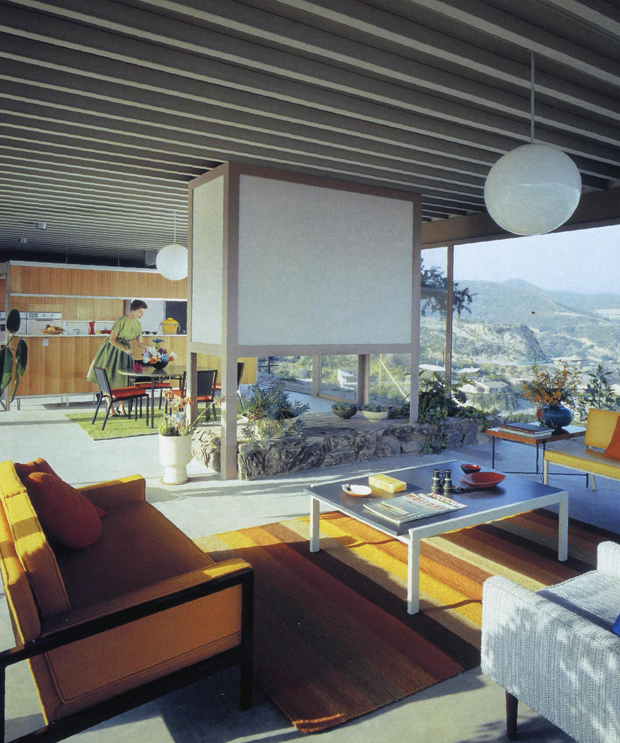 Pierre Koenig's Case Study House #22 (also known as the Stahl residence) located at 1635 Woods Drive, Los Angeles. 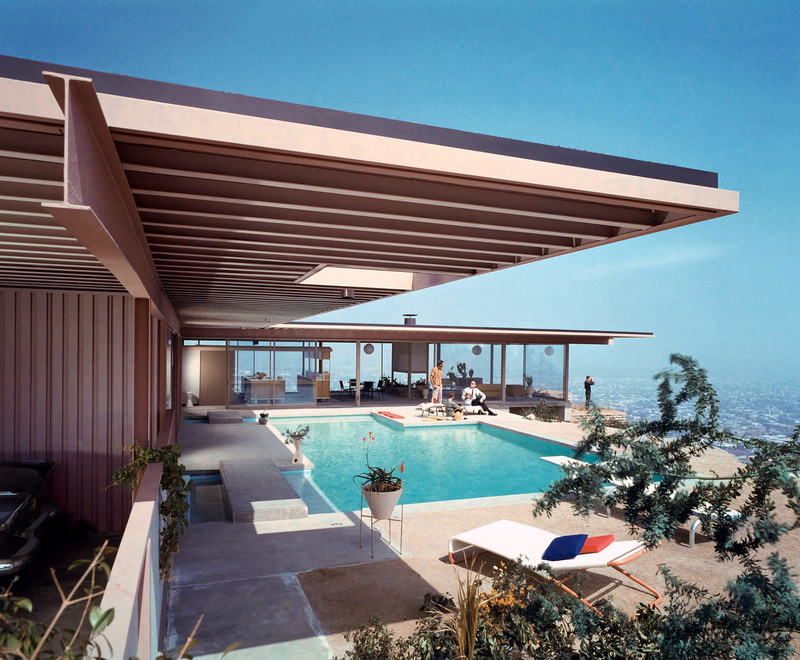 Photographed by Julius Shulman in 1960. Probably the most famous and most photographed Case Study House is the Case Study House #22, also known as the Stahl House, designed by Pierre Koenig. This Case Study Project came immediately after the Case Study House #21 with which it has many architectural similarities indeed. 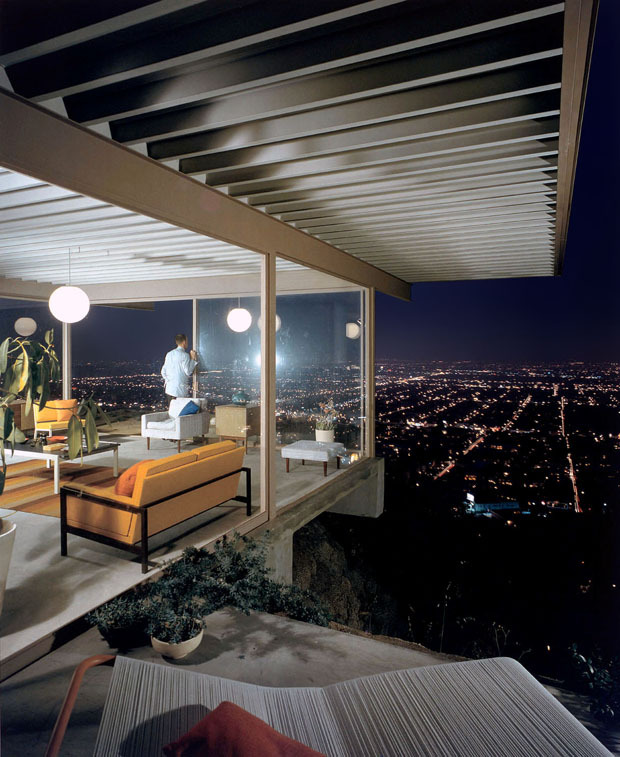 The Stahl House, constructed on a beautiful bluff overlooking the ever-growing city of Los Angeles, was designed with an L-shaped plan and minimalist structure made of steel and glass. 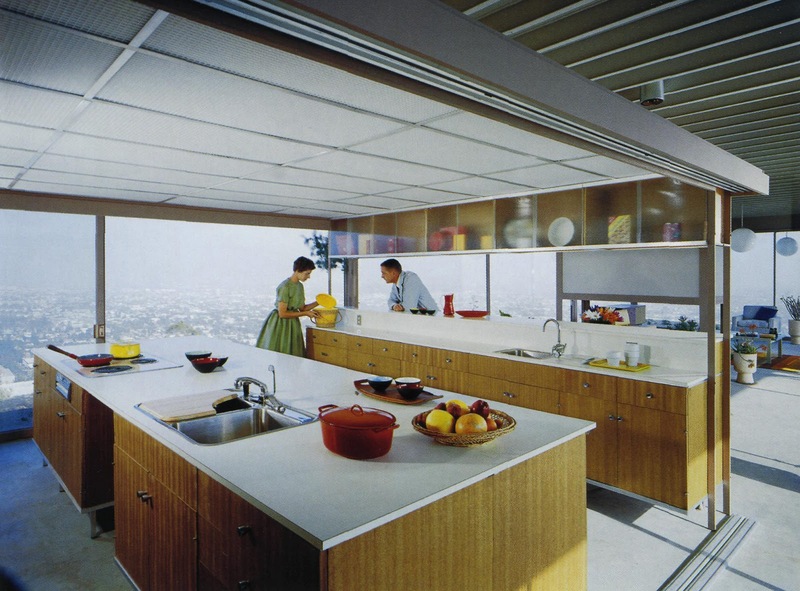 Its minimal design, together with the spectacular Julius Shulman photographs, made this Case Study House one of the icons of the mid-century modern architecture movement and an example of experimental construction methods. Pierre Koenig designed the Stahl House with all rooms facing the minimalist swimming pool spanned by a concrete footbridge that easily linked the car parking space with the entrance. Pierre Koenig created Case Study House #22 is a pavilion made of steel, framing 20-foot wide elements of glass that defined the inner space; a minimal and elegant design. In 1999, it was declared a Los Angeles Historic-Cultural Monument. 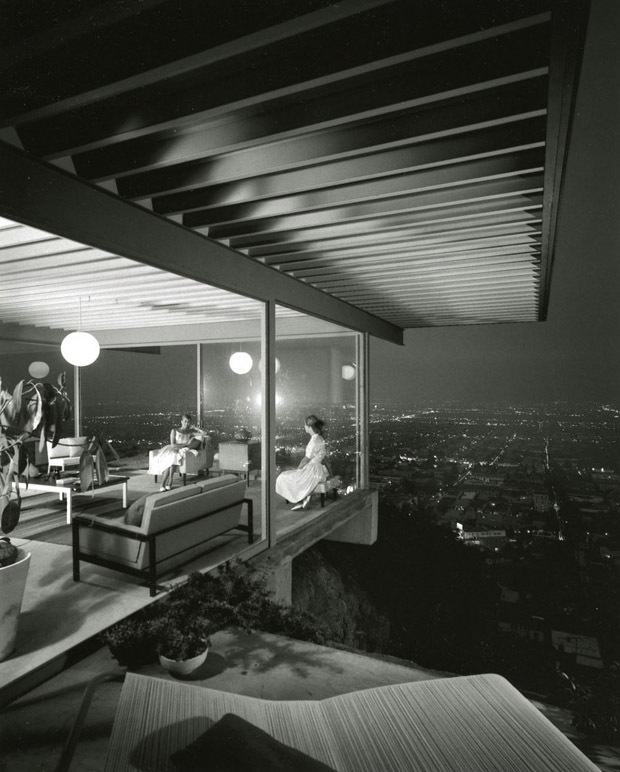 In 2007, the American Institute of Architects listed the Stahl House as one of the top 150 structures on its "America's Favorite Architecture" list, one of only 11 in Southern California, and the only privately owned. This mid-century modernist masterpieces is a Stardust Staff Pick.